The U.S. Senate recently passed Moving Ahead for Progress in the 21st Century (MAP-21), a program used to help reduce the risks of drunk-driving car accidents in Roslindale and elsewhere. Included in MAP-21 is the ROADS SAFE Act and $12 million in funds to help researchers in creating, testing and developing in-vehicle technologies to help stop drunk driving. 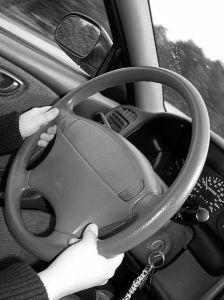 Technology currently in development is the Driver Alcohol Detection System for Safety (DADSS). The device is being worked on by the National Highway Traffic Safety Administration (NHTSA) and the Automotive Coalition for Traffic Safety. The technology is designed to stop drivers who are intoxicated from getting in the car and turning the key. Mothers Against Drunk Driving (MADD) recently announced its approval and excitement for this passage and asks other lawmakers to hop on board in the journey to safer roadways across the country. Our Massachusetts drunk driving accident attorneys understand that MAP-21 comes with some of the strongest safety provisions we’ve seen yet. These provisions just might be able to help reduce the number of drunk driving-related fatalities that we see every year. Even though the number of these kinds of fatalities has been cut in half since MADD started nearly 30 years ago, our country is still losing far too many motorists in these completely preventable accidents. One of the most important provisions in MAP-21 is the incentive program that’s offering federal funds to states that take on tougher drunk-driving conviction penalties. Lawmakers are hoping to get every state to launch all-offender interlock programs. This means that all drivers with a drunk-driving conviction would be required to install an ignition interlock device into their vehicle. States that already have this kind of law have seen more than a 50-percent reduction in these fatal alcohol-related accidents, according to the Insurance Institute for Highway Safety (IIHS). MAP-21 is also encouraging the nation to stay on top of its high-visibility crackdown efforts. A number of studies have illustrated that these kinds of efforts do in fact have an impact on our roadway safety. Higher enforcement equals less dangerous drivers. MAP-21 will be continuing to fund national campaigns like the Drive Sober or Get Pulled Over campaign and the Click It or Ticket campaign. If you remember the study about the 25 Drunkest Cities in the United States then you remember that Boston took the number one spot in 2011. With these kinds of numbers against us, it’s important for government officials to focus on drunk driving and the dangers it poses in our area. MAP-21 may just be able to provide the resources that we need to focus on this danger. The Law Offices of Jeffrey S. Glassman, LLC offers help to those and to the family of those who have been the injured or killed in a drunk driving car accident in Massachusetts. If you or a family member has been involved in an alcohol-related auto accident, call 1-888-367-2900 to set up a free appointment to discuss your rights.